I have a large Federal Tax Lien and State Tax Lien on my credit report. What do I do? Hello Bill! I have two records under Public Records of my credit report. There's a Fed Tax Lien and State Tax Lien. The amounts are for $900,000 on the Fed Tax Lien and $34,000 on the State Tax Lien. What does this mean? Could this be on record even if I don't own property? Is this for the future? Or could this be for someone else's home? Thank you in advance for the clarification! Get immediate help if you have an IRS tax lien. You may qualify for an Offer in Compromise. Do your homework before contacting the IRS. Thank you for your questions about the high balance Federal Tax Lien and State Tax Lien that appear on your credit report. Before answering your question about your IRS tax lien, I will recommend that you contact a professional firm, such as Freedom Tax Relief. Having an IRS tax lien or a State Tax Lien filed against you, especially ones as large as yours, demands quick action, so you do not suffer any financial harm. To start off, when a tax lien is filed, it is filed against the person, not against property. If the person owns property, the tax lien will affect that property, potentially stopping a person from selling or refinancing that property unless the lien is satisfied. Even someone, like you, who has no real estate needs to worry about other possible effects of the liens. For instance, a Federal Tax Lien or a State Tax Lien can lead to a wage garnishment, a bank levy, or the government keeping any tax refund that the taxpayer would normally be entitled to receive. The huge size of the Federal Tax Lien, raises some immediate questions for me. When were the liens filed? The dates they were each filed should be listed on your credit report. Have you received any tax refund or the stimulus rebate after the time the lien shows as being filed? If so, that indicates that you likely do not owe the amounts listed and that the government is not trying to collect on the debt. Do You Owe What the Lien Says You Owe? Here are some other questions. Are you self-employed? Have you filed tax returns each year that you were required to do so? Did you ever earn enough or sell any assets that would possibly result in such a large tax obligation? If not, did you ever do any day trading of stocks? Did you receive any 1099 income? Your answers to these questions will dictate what steps you need to take. If you did not file tax returns, you need to do so. If you did not file, earned self-employed income, and would have been entitled to claim any business deductions, this can cause serious problems. The IRS and the State can file returns for you. When they do so, they do not credit you with any deductions you would legitimately be entitled to claim on the return you would file. This can greatly inflate a tax debt and lead to a Federal Tax Lien or a State Tax Lien. Also, if you did any stock trading and did not inform the IRS of the purchase price and the sale price of the stocks, the IRS and the State can view each sale as 100% profit, again leading them to decide that you owe them a large amount. When either the State or the IRS files for you, it is called a Substitute for Return, meaning that they have substituted a return they prepared for you for the one that you did not file. You are entitled to the chance to replace their filed return with one that you file that accurately shows your income, deductions, and total taxes owing. Given all of the above, you should likely speak to a tax professional. 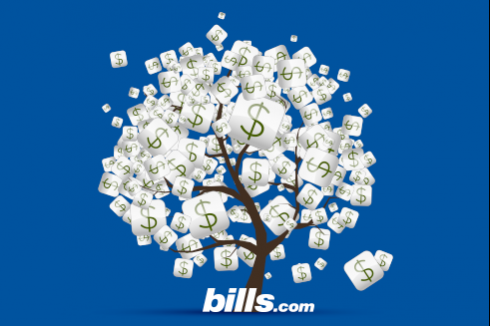 A good place to start is the Bills.com overview page about how to get IRS Debt Help. I hope that this information helps you Find. Learn Save.